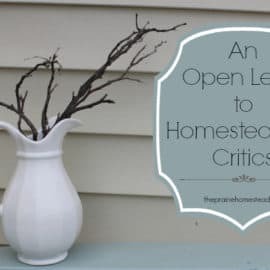 Back when I started the transition from a workin’ girl to a stay at home mama, I spent a considerable amount of time online checking out various homemaking blogs. A common theme I found among them was that many of the moms were coupon queens. They would spend mere pennies and come home with bagfuls of food and toiletries. Oftentimes, the items would end up being completely free! This totally appealed to my frugal side. I was fascinated! I began to look into the fine art of couponing. I joined a few coupon download sites and had full intentions of learning how to work the system. 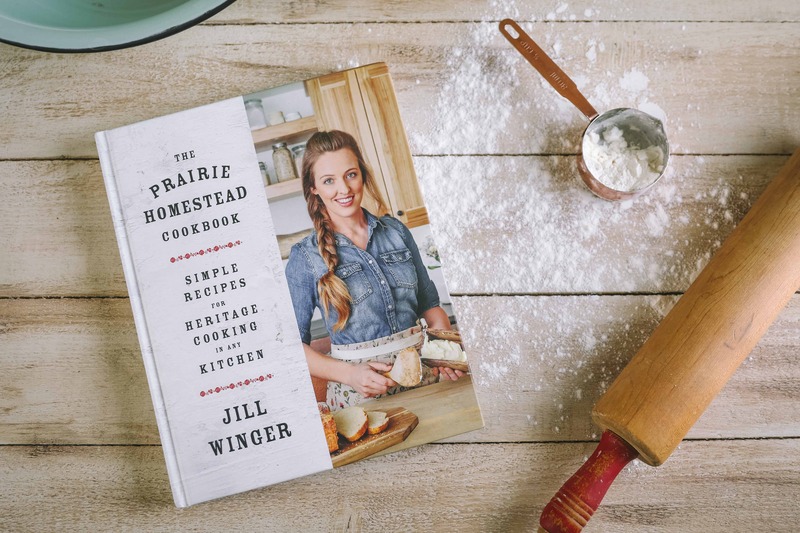 So, why haven’t you seen me share my couponing secrets here at The Prairie Homestead? Well, it’s because I never even started. And let me tell you why. As I started reading couponing blogs, I also was reading many natural food blogs. For the first time ever, I was pondering the ideas of raw milk, grassfed meat, and organic produce. It didn’t take me long to realize that these 2 concepts didn’t quite match. I slowly began to realized that even though it was pretty cool to come home from the store with bagfuls of free Crisco, Hamburger Helper, and Pepsi, I didn’t really want to be feeding those things to my family anyway. Simply because they aren’t actually food. Free or not, I couldn’t deny the health issues that could arise from a constant diet of those items. Even coupons for “natural” foods are often for organic “convenience” foods. In my opinion, many of those items are ‘organic’ in name only. They are still a far cry from being real food. Plus, they are expensive to start with, and many of the coupons only reduce the price slightly. Many of these items are still healthier and cheaper to make at home. I use cloth diapers and cloth baby wipes, which eliminates the need for clipping all those diaper coupons. I simply skip a lot of items like dryer sheets, air fresheners, or shaving gel. I reduce the use of disposable products as much as possible: paper plates, paper towels, throw-away baking dishes, plastic cups. Too wasteful for my tastes anyway! We don’t subscribe to the local paper. In order to really be an effective couponer, you must have multiple coupons from multiple sources. There are many printable coupon sources online, but you must research, download, match, and print them. You also have to be willing to drive to various stores to redeem the various coupons. I only shop once per month (to save on gas). It’s a jam-packed day already. I simply don’t have the time to drive to extra stores for only a few items. As I mentioned above, we live 35 miles from the nearest grocery store and I only shop once or twice per month. I find that once monthly shopping saves a considerable amount on gas, as well as helps to reduce all the “little extras” that you end up grabbing on each trip to the store. It would be difficult and costly for me to run to the store every time a coupon is about to expire. If you sucessfully coupon, that’s great, I admire your skills! I know it’s a great fit for some families, but it just doesn’t fit with our homesteading lifestyle. That’s not to say that when I occaisionally find a coupon for some herbal tea, or organic tomato sauce, I won’t use it. However, those times are few and far between and I’ve never gotten an item for free. For now, I keep our grocery costs low by producing as much of our own food as possible (vegetables, meat, milk & dairy) and making nearly all of our food from scratch (like homemade tortillas, sausage gravy, and pie crusts). I guess I would rather spend my time growing veggies and making cheese, rather than clipping coupons. But, of course, each family is different. However, you can bet if they ever start printing coupons for hard white wheat berries and organic fruit, I’ll be the first in line! Do YOU coupon? If you eat real foods, have you found ways to make healthy eating and couponing fit together? I also thought couponing would be a great way to bring our grocery bill down but found the same problems as you. I can’t stomach buying hardly any of that processed “food”. We don’t allow soda in the house so that’s out. I wholeheartedly agree and I am glad that you have put it in such great words. I used to teach coupon classes and I still occasionally teach those who ask for classes but it just does not work for our lifestyle. I will be sharing this post with many who ask me why I stopped couponing. Thanks so much! Yup, me too. Gotta admit that sometimes my gut reaction to a post about $100 of “free” groceries makes me do a double take too. 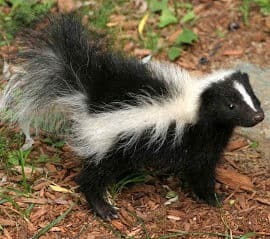 Until I look at the pictures and realize that most of the things are “unedible” in my book. ha! I could not agree more! I have been astounded while watching TLC’s show Extreme Couponing!! However, that stuff they buy to eat is not on my diet. I, like you, try to make everything from scratch, so couponing doesn’t make sense for me either. This is a great post! Thanks!…. Although, I have to admit, free toilet paper sounds interesting. I don’t coupon for the very same reasons. Every time they ask me if I have any coupons I tell them they don’t make coupons for what I buy. LOL! When there is a coupon for fresh fruits and veggies I’LL be, well second in line since your going to be first. Ha! Loved this post! Great Blog. I really wish we had a Costco AND Trader’s Joes… Maybe someday! Oh, and chocolate chips are on my to-try list, too! I was going through your blog today, and caught this, I just wanted to encourage you to check out Laura at Heavenly Homemakers, she makes chocolate chips from scratch. She makes all kinds of things from scratch. Keep up the good work. Hope this helps you. Yay! A post after my own heart! I don’t aspire to be a coupon queen for the very same reasons you wrote about. I wouldn’t want most of in or on my body or my families… My favorite tip of yours is how you simply ” skip” certain items. I do that too..it saves money and waste at the landfill too! Now, if I can save a few dollars at my local CVS on shampoo and acne cleansers for my teenagers, I’ll do that as often as I can…I know they will use it and it works! I totally agree with not wanting to be a “Coupon Queen”!! Me neither!! I know some people who are and they seem to have more health problems than my family does. I truly believe it’s due to the foods (or should I say “foods”) they eat. If only I could convince them of this, though. 🙁 Maybe one day our family’s positive example will speak for itself! I used to coupon when I was newlywed and I used to do very well. Of course, being young and busy, we ate a lot of processed food then. But I’m like you now, once we bought our home and began raising a lot of our own food, coupons became less and less useful. We are 26 miles from town, so I mostly buy in bulk and usually can’t bother with the timing of sales. It’s rare that I come across a useful coupon anymore anyway. Most are for new convenience products that aren’t necessary in the first place. I have friends who brag that they have saved large dollar amounts on their grocery bill, but I am certain they still spend more on groceries than I do. We use that occasional coupon too but for the most part I shop through Azure Standards. Best thing that ever happened to our grocery budget and all I have to do is pick up boxes from the big rig once a month. Totally agree Megan. I ADORE Azure Standard! I think it is amazing to see so many people realizing that coupons are for junk food! I used to do coupons as well but when I started going organic and purchasing everything from local farms coupons were of no use to us. My grocery bill has dropped drastically since I began making everything at home. I make nearly everything from scratch! I can’t handle buying boxed foods anymore because of the chemicals and nonfood things put int them. Great post! Wow, I’m also pleasantly surprised at the number of people that don’t use coupons because they eat real food. I also grow my own food, well with lots of hubby help! We are as of this week even milking. So now I will have fresh butter and cheese. This beats coupons, hands down! Great post and I completely agree. It’s pretty rare that I see a coupon for anything that I consider worth buying. Exact reasons I don’t coupon! I 100% agree! Great post. My daughter and I watched that new show on TLC and I told her most of those things you mentioned…it’s not real food they’re trying to sell you therefore it makes no sense to even bother! We don’t coupon either – with a couple of exceptions. For all of the things we DO pick up at the grocery store (just in a new house, we have no garden, and we live in city limits, so no cows or goats for us either) we use our grocery’s shopper card. It not only means we often get discounts on things like produce and organic dry goods, we also once a quarter or so get coupons from the store. The coupons are created based on our most frequent purchases – meaning I’ve gotten coupons for plain organic whole milk yogurt, fresh produce (something like $5 off a $5+ purchase) and frozen veggies which we use in the winter when there isn’t much produce in season. We shop at a hometown store owned by Kroger. I will also use coupon codes online for nonfood items (just run a google search before you buy something for the store’s coupon codes – I just saved 30% on a pricey swim suit). I’ve given up even flipping through the coupon booklets that show up with our newspaper – I’m not interested in dorritos, canned soups, processed cheese or boxed, freeze-dried meals. Ick. I absolutely love that your local store tailors the coupons to your needs. If mine did something like that, I would totally sign up for it! And I also frequently use online coupons for things like clothing, books, etc. Nothing wrong with that! I cook with real food and I have never found coupons that work for me. I make my own soap, clean with vinegar, make my own skin care products and so on. I am part of a local food group and as a group we get good discount if we buy together. Skipping the processed food saves money too since my kids last longer on real food. 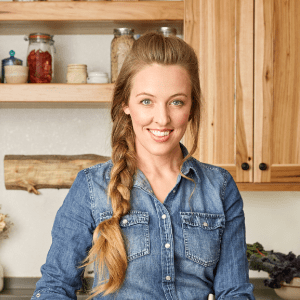 Jo, very good point about real food actually being cheaper, since it’s more filling… Hadn’t thought of that! I don’t coupon anymore for the reasons that you mention. That being said, I will pick up organic convenience items at my local grocery outlet from time to time for the convenience, and that’s all. We’re in the midst of baseball and soccer season, plus all the end of the year stuff. It’s just too crazy, and 5 kids go through homemade stuff very quickly. I need to buy myself some breathing space from time to time. I am teaching myself to make as much as possible. I’m on my second batch of kombucha, and I’ll be trying water kefir as soon as I get some grains from one of my sisters-in-law. I started up my sourdough starter again, but didn’t have time to do anything with it. I think it’s perfectly “legal” to use organic convenience items when life is busy! Sometimes we just can make everything from scratch, and that is OK! I haven’t tried kombucha yet, but it’s on my list! I find if I just clip the coupons that come with our Sunday paper for toiletries and cleaning supplies it is worth my while. But I agree that going all out to be a coupon queen doesn’t fit the lifestyle at all. I loved this post, and could not agree more, I don’t use any kind of food coupons for the very reason you listed, but I do use coupons for non-food as much as possable. I like you live a ways from town an so plan my shopping pretty carefully, and grow/raise most of my own food, which helps me have the freedom to spend a little more on better qaulity at the stores. Yes, producing our own food definitely leaves more room in the budget to purchase higher quality items at the stores! Yes, I can totally see using coupons for those items. I wish I could find egg coupons around here! AMEN! I am so tired of people looking at my budget ($900 for twelve per month, though likely to increase) and recommending coupons! They tell me if I can eat that cheap now, that coupons would be shockingly low! I think we would just eat more refined flour, refined salt, refined sugars. I know, ’cause I tried it for a while and it was not good. You are a voice of reason, thanks! I coupon but I’m not an extreme couponer. That’s madness. I don’t want 30 boxes of Pop Tarts in my house even if they are only 10 cents. I’m with you. A lot of the “free” stuff after coupons is complete garbage food that I would never feed my family. However, I do search on-line for coupons for organic products but they are really hard to come by. But I’m also brand specific and many of the products I buy don’t offer coupons. I also refuse to drive to 3 different stores to buy sale items. My time is far too precious. Plus, there’s no need to do that since my local supermarket price matches competitors prices in sale ads. Visiting here from Food Renegade! Great post! I completely agree with you about the healthy aspect. I used to be big into couponing but it’s just not worth it to me anymore…we just don’t eat those kinds of foods/don’t use those kinds of items! Not only that, but I also don’t want to buy a bunch of stuff just because I can get it cheap. Definitely goes against simplicity and minimalism. I do use coupons for things I know I will be buying…I occasionally browse a local couponing blog just to see if there are any matchups for things I WILL need, and then I’ll do it (we only grocery shop about once a week at the very most- we live outside of town, too). I also write to companies of products I absolutely LOVE and usually get coupons (sometimes very high value ones) in return). Here’s the dichotomy that people don’t realize about their free groceries: You can get those groceries for free because IT HAS NO VALUE. No value monetarily. No value nutritionally. No wonder you can get it for free! Great blog! Absolutely! It’s mostly just cheap corn anyway. Nope, you’re definitely not the only one! 😉 We should start a club! First visit to your blog! 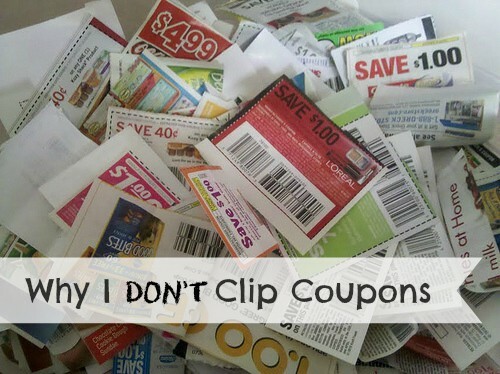 We don’t clip coupons either. I wish I could say it was for the same reasons because I am interested in eating healthy. The problem we have is that many of the coupons for name brands end up being the same cost as the generic brands after the coupon is used! Blessings to you and your ambition to create a simple, healthy life! Yes, very good point about name brand coupons often still being more expensive than generics. I forgot to mention that! I completely agree! I have been watching “Extreme Couponing”, and like many others found it just fascinating. However, like you said, when it came down to looking at how to do it the coupons are all for JUNK. Not only that, but then there is often no room for variety. I often see people on that show walk out with a bunch of frozen pizzas, soap, and gatorade…I for one never feed my family like that for a night, let alone the month! Since we purchased our house last year, we have switched EVERYTHING to reusable or natural sources…I’m absolutely loving it. And, drumroll, I can add another to my list of “never buying again”- MILK! We picked up our does a couple days ago, and the milker is giving us half a gallon per day…I’m only anticipating that this will rise as her kids have just weaned. YAY! Jill, I’d love to feature you on Domestically Divine @ Far Above Rubies. This post is so true of so many who desire to coupon, but don’t for the same reasons you listed here. I did the same thing. I looked at extreme couponing for just a moment and the moment was gone. There simply aren’t coupons for what we buy. I have a pantry full of staples, not convenience foods. Like you, I looked at the pictures of a pile of food for pennies and rarely picked out more than 2 items that I would actually buy. Who needs 6 gallons of ice cream filling up the freezer? One good summer storm here and that ice cream is history! We keep it simple. We keep it fresh. And we keep it real. And we are much healthier for it. Thanks for the great post! I started couponing this month and before this my husband and I (ages 26 and 21) would go to produce, meat, dairy, bread, hygiene aisle, pick up a few staples (pasta/spaghetti sauce/etc) and not really go into the center where all the junk food is. We’re healthy, make your dinner from scratch eaters. So absolutely no t.v. dinners or frozen pizzas. Couponing has made it to where I’m able to stockpile on the staple items we use the most (pasta/rice/sauces/milk/cereal/oatmeal/peanut butter/etc) and then the bulk of our out of pocket is on meats, vegetables, and fruits. I never realized how nice it was to have an excess of food stored away and know that when you run out, you have some in your pantry to replace it that you already bought at a stellar cheap price or got for free. But I’m a new couponer and I’m in no rush to build my stockpile. Otherwise, I wouldn’t be saving money. For instance, We’ve paid $165 on groceries that would have been $388, so that’s savings of about 55%. And we used to spend about $200-$250/mo on groceries. However, any extra calories in our diet wouldn’t hurt since we’re high energy people as in he runs track/works out/very fit and I workout but should probably eat more than I do to give my body more fuel to burn and the nutrients I may be lacking. But no … couponing hasn’t changed our diet drastically in that we prefer cooking fresh. Now, I just have a few extra snacks to have when I get breaks in between my classes and instead of going to the bookstore down the hall from the studio room and wasting $5.00, I can pull something out of my bag and be content. DISAGREE*** Okay, so I have been couponing for 5 years now, and I even teach how to do it. So when I began transitioning my family into a more natural lifestyle it was difficult at first to bypass the free Betty Crocker potatoes and Rice-a-roni. We even gave up corn 100%. But couponing taught me very valuable shopping skills. I am now very in-tune with sales and specials and learned many ways to save. Organic brands are coming out with more and more coupons too. I just bought 6 jars of Santa Cruz organic lemonade for .25 each after my coupons. You couldn’t make it yourself for that cheap after the cost of organic sugar. With couponing I get things for free, like razors, toothbrushes, floss, toilet paper, and bandaids. I use the drugstore rebate and deal programs to get us our Burt’s Bees shampoo and conditioner and Toms of Maine toothpaste. That leaves my money to pay for the more expensive organic items we will use. I also use my couponing to keep my disaster supply cabinet fully stocked. While we do not consume canned goods, I have 40 cans of various soups and hundreds of other boxed food items that we can survive off of if we had too. I’de rather my family ate canned food than starved. I also recently got free peroxide and rubbing alcohol at Target with my coupons. Last year I got 4 Sonicare toothbrushes for $3 each after coupons (usually $60 ea!!) There are plenty of things my family uses that I get for free or cheap with coupons. If something is free with coupons that my family won’t use, I gladly donate it to charity. 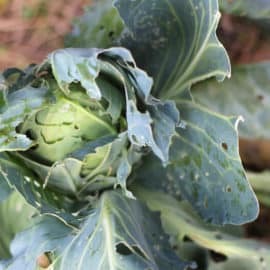 There is also an organic food/coupon blog that tracks the produce specials at Henry’s, Sprouts, Whole Foods and more for those who are just starting gardening, or maybe don’t have the space too. Couponing might not be right for everyone, but there is certainly a way to get the best of both worlds if you do it right! That’s great that you can get coupons to work for you Chelsie. I know there are some good organic food coupons out there, but I just don’t have the time to find them and then match them up so I get a decent amount of savings from them. But sounds like you have it all figured out. Good for you! I agree with you 100% and as a semi-new couponer I aspire to find such deals as you mentioned. I try to utilize the coupons for free colgate toothpaste or .50 froot loops cereal (that I would never eat) to get supplies to donate to our church’s food pantry. Thanks for the link. I love the organic Honest Ade teas and lemonade and take them to work with me…and with recyclebank.com or other sources I can usually get a $1/1 coupon which makes them free or close it, even at my little local grocery store! It has only been through a little couponing, I am more aware of what is a good price to pay for certain things. And I live a full life, so I probably spend an hour or two at the most (evenings/weekend) doing it. But by no means do I think the TLC show is positive, uggh. Disgusts me mostly from the one episode I did watch. I have tried to find the best of both worlds. I have started couponing, but one moto I have stuck to from the get go is that I will not buy it with coupons if I would not buy it without. This means that out of every Sunday paper there are a lot of coupons that would go to waste (so I participate in a coupon swap with my friends), but that’s okay, because I still save $100-200 a week when I really put in the time to coupon. That being said, on a good week: I use all cloth diapers, make my own bread, cakes, baked goods, make as much from scratch as possible, only buy organic milk and chicken (form the store), and buy my beef and eggs from the farmer’s market. On a rough week I will buy a loaf of bread and/or use paper diapers for a day or two, for sometimes the stress relief is worth it. Still, there are things like frozen Cascadian Farm’s organic frozen vegetables that with the coupon were free the other week, since I can’t realistically grow a garden where I am currently I stocked up. Then the other week Seventh Generation laundry detergent was on sale for $3 a bottle ($4 savings each over here), and it is deals like those that make it all worth while for me. I totally agree with the coupons=lots of junk food. However, while not extreme by any means, I do coupon. And there are lots of coupons for lots of things we do buy, like toothbrushes (get them for free!) hair accessories/brushes etc., shampoo, TP, laundry detergent ( I make my own unless I can get Purex or something similar for less than 3 cents a load, and sometimes I do! ), kleenex, ziploc bags, foil, trash bags, cleaners (I am a house-cleaner by trade and use lots of Lysol) and even some grocery items….frozen cranberry juice, turkey bacon, eggs (unfortunately can’t keep the chickens laying enough eggs for 9 people, lol), butter, silk almond milk that my mom drinks, clif or power bars and vitamin waters for the guys when they work, etc. I only buy one paper a week ($1.50) and I belong to weusecoupons.com and often trade all those coupons I don’t use for ones I do use. Btw, there are some options out there for organic coupons, you just gotta know where to look. And moneysavingmom.com has tons of resources and links that will save you all that time! I have been couponing for about 5 months now but I am nowhere near extreme. Its just a little here and there and I have to say I agree with you about how alot of coupons are for junk. I will not get something that I’m not going to use just because it is free or a quick meal as I do cook from scratch. There are quite a alot of things to get tho with coupons that are non food related. I never buy body wash, tooth paste, toothbrushes and i get laundry soap dirt cheap. Not to mention the cheap deals on toilet paper and paper towels. Also I have a pretty good stock of pasta too. If your mindset is that couponing is ALL for junk tho I would have to disagree! I have saved alot of money already just buying household items and toiletries! No, I don’t think that all coupons are necessarily for junk food. But– the majority of them are. On the rare occaisions that I happen to find a coupon for say, organic coconut milk, AND I happen to be in town before it expires, AND I happen to be going to that store, I will happily use the coupon. But, the stars pretty much have to align for all the factors to work for me. It’s a rare occurance. That’s pretty much how I am. I really gave coupons a try for a few months but found it far too time consuming for what I was able to save. We don’t have any stores here that double coupons and that is a lot of how serious couponers save money. Also…. I never buy a paper… there is a shed right down the road from me where I get about 20+ inserts a week. And Jaclynn I love moneysavingmom! A good replacement for shave gel is hair conditioner. I just put a smidge in my palm, slather it on my legs (or wherever) and shave away. It works even better than expensive gel, and no need to lotion after. I also use unscented (or lavender, my favorite) natural hair conditioner mixed with water and vinegar (equal parts), dip a washcloth in it and toss in the dryer in place of dryer sheets. I do that hair conditioner trick, too! love it! And great idea about the dryer sheet alternative! Yes! Since writing this post I’ve tried dryer balls– they work wonders! I coupon, but what most people don’t realize is that the Extreme Couponer show allows the shoppers to “break the rules” of most stores. Some have even openly admitted to coupon fraud! Hello! I don’t do that. I can’t believe the time and energy people put into this stuff. So bad for you so called “foods”, Who has time to stock up on gummy bears and artificial foods. Free sometimes comes with quite a cost. I prefer to feed my family with whole foods and common sense! “Free sometimes comes with quite a cost” Very well said, Kathy. When I was younger, I was all about cheap groceries. Top Ramen was only 33 cents a package? Let’s stock up! Now that way of thinking makes me cringe…. The harm those artificial foods do to your health is never worth the pennies you might save at the check out line! Amen! I agree wholeheartedly with this post. You said it so well. I just found your blog when searching for a great recipe for refried beans. We tried it this past weekend and I LOVE IT! Cumin is one of my favorite spices, so I thought it was perfect. Looking forward to perusing your blog more when I have time. Thanks! Awesome! Glad you enjoyed the beans Jayne! And yes, I love cumin too. 😉 Glad you found me. When I see “coupon”, I immediately think “stuff I don’t want”. Coupons are a lifestyle litmus test! Your fabulous, inspirational blog has the distinction of being the number one search result for “uses for whey”. Every first time cheese maker is going to find you like this, unless they are not frugal or Google savvy. OK, I’ve got to read the other posts. I don’t coupon like a lot of the women on the blogs do for the same reason- I don’t want to feed my family all that junk food. I will cut coupons for a few thing- Toilet paper, diapers (would love to cloth diaper but even changing disposables makes me gag- I don’t have the stomach for it), my husband’s favorite body wash, and a few other things. I make almost all of our food from scratch- bread, cheese, meals- and most of our cleaners including our laundry detergent. I live in an apartment with no balcony so growing our food is not an option (but I wish I could!!!) so I did read a book done by some women who write a coupon blog and learned about cycle-shopping: first, you check the sale papers on wednesday, make your grocery list based on what’s on sale (meats, veggies, etc) and buy according to that instead of making your list first and going shopping. Sometimes, getting the best deal means going to more than one store but they are all pretty close together around here so it isn’t a big deal. Also, when something like flour hits its rock-bottom sale price, which is in cycles and happens every 3 months, you buy enough to last you 3 months until the next time it hits rock bottom. I’ve cut about 25% off my grocery bill that way. It certainly doesn’t make anything free but every little bit helps! No, I don’t coupon. I tried, and decided that (a) I saved very little money, because I cook from scratch, and most coupons are not for ingredients; and (b) it took more of my time to find the coupons, print the coupons, clip the coupons, and match them to my shopping list than it was worth; and (c) even when I had a usable coupon, it didn’t bring the cost of the brand-name item down to what I can buy the store-brand item for. I 100% DISAGREE!!! I save a BUNDLE with coupons and we DO NOT EAT JUNK in my house, nor do we use a lot of the cleaners. With not that much effort I have managed coupons for everything from truly organic product, (not at all the stuff you spoke of) to clothing, to shoes, to coats and hats and gloves. It does take some time, but honestly not that much once I got started. Granted, there are a LOT of coupons for a lot of junk food and such out there, but to the savvy couponer you can save a lot of money and purchase quality food and other items for your family. But couponing is not for everyone and that’s OK. We all have our own way. I just wanted to step in and say that it truly is a viable option and the “it’s all junk” is really and truly a myth. I agree completely! I have always said if there were coupons for veggies and fruits I would be good to go!! I don’t buy any of that convenience stuff anymore. I totally agree! I look at the posts of what they purchase with their coupons and it makes me sick. It is an easy way for companies to get people to eat poorly. I live about and hour and a half from a major grocery store so we shop twice a month. I have found that planning out or meals and snacks every day cut back on costs. When we go to the store we don’t impulse buy which can add up quickly. I also thought the couponing thing was kind of cool, people getting lots of free “stuff”. But, there is just me, and my husband in our house, and I do cook most every day. But, when looking through coupons, I do find a few that I can use, but most coupons are for things that I just don’t buy. Yes, most of them are great if you are into junk food, or if you have children in diapers, baby food, etc. We grow our own veggies, and can and freeze them, but you never find coupons for those. Most of the coupons out there are just not for me. We are trying to eat healthier these days, and junk food is not the way to do that, lol. 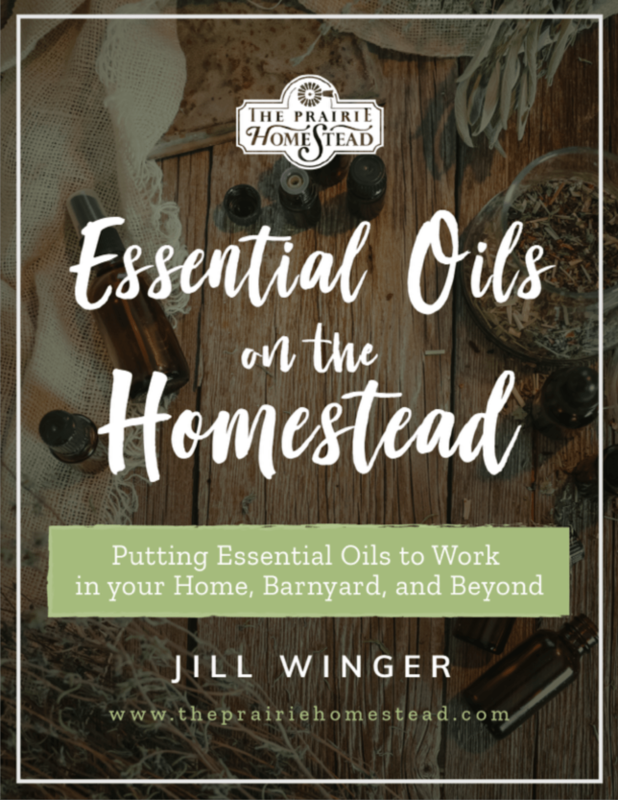 I really like using them on TP and female products…I agree with this post, but I’m not in a position right now to ‘completely’ homestead yet. Someday soon. Yes… TP… I wish I could find more TP coupons. Amen. I also do not coupon for all of the reasons you mentioned in this post. The one type of coupon I do almost always use is coupon codes when I shop for things online. A quick search for a coupon or discount code will almost always uncover a code for free shipping or 20 percent or more off. Great post. Coupons rarely work for me either. Instead, I pay attention to the times when stores have customer appreciation days. Most stores have a once a month day where your bill is 10% off or they have scratch cards for savings, etc. A couple local chains in my area started 10% off on the first Tuesday of the month. The larger stores matched it to be competitive. We do our twice a month shopping on one of those days unless there is an exceptional flyer. I’ve found that when coupons come in I can do one of a few things with. Pile them up until I get a chance to look at them (usually after they expire), look at them right away, clip ’em, and never file them (until after they expire), actually get them in my file which requires my purse to be within reaching distance and actually use them. Sometimes I DO do the latter and we do save quite a bit but those are usually specially mailed coupons where it’s dollars saved, not pennies. I fantasize about being an awesome coupon clipper and saving tons of money for our household, adding that to one of my wifely duties and talents, but I am very inconsistent about it and usually just recycle the pile without even looking at them. I honestly never even thought about the unhealthy foods aspect so I’m glad it was your first point and reason you made. We limit ourselves on the crap we bring in but we do still have some crap. For me it’s just plain laziness and it is time consuming. I too can find better things to do with my time then spend it clipping and sorting. When I do it I look for things we need right now, not things we MIGHT need in six weeks and we don’t have 50 bars of soap or tubes of toothpaste. I don’t believe in quantity purchases to get a good deal. Craziness. Spending money to save money doesn’t make sense to me. If I don’t need it NOW I don’t buy it now. I love this! 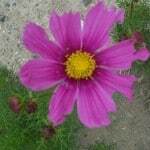 We recently had an awakening, and sold our house, paid off all our bills, and are looking for a piece of land to mini-farm. I can’t believe how NASTY the foods and products we use and eat are.. I have nightmares about it now! I can’t wait to get started and your blog os one of my inspirations 🙂 I love all your tips and please keep them coming! My dream is to homestead. I want to be able to rely on myself for my own family’s needs, not some manufacturer. One day, for sure! I try not to be judgmental, but it is VERY hard. I see young mothers with 2-3 kids and a huge shopping cart full of fruit loops, hamburger helper, wonder bread, hostess cupcakes (ok, maybe little debbie, lol), and cans of soup filled with msg and other crap… and I can’t help but think of how my tax dollars will be going toward their medical bills in the future, and why I won’t ever get to cash in on my social security in 20-30 years because the money will be spent going to welfare folks and sick people on disability because of how they eat and how they feed their kids. I know, today I am just feeling in a little bit of a pissy mood (PMS!) and I am usually not so mean, but I just don’t fit in with those around me and it disgusts me sometimes! So, thank you for putting my thoughts into a much nicer post! Hope you have a great day! The one spring I couponed I was surprised by a few things. First, yes, you can get a big stock pile pretty quickly. I just bought my first feminine products an toothpaste in two years. But I did find myself bending our eating habits to accomodate cheap or free foods we wouldn’t have otherwise eaten. One thing I was always able to get a good deal on was frozen veggies, and that works out because I’m still honing my gardening skills. Unfortunately, the big stores are 30 miles from our home, the sales are on three separate days per week, and there is a rabid group of coupon ladies in our area. They would clear the shelves early and I would have to get rainchecks pretty regularly. There was also someone taking the coupon inserts out of the papers at the store, so I’d buy my papers and get home to discover the coupons had been stolen. Ultimately it just was too much trouble for the two or three items I really wanted to use coupons for. Now I just watch prices, and stock up when I can without making 17 trips to town. Also were putting a little more up from our own garden each year and gleaning from nearby orchards, so I don’t mind paying a decent price (instead of phenomenal price) to fill in the gaps. I am an extreme couponer, and I wanna point out something no one has addressed so far, and that is in order to save the big bucks, you have to have hundreds of dollars worth of coupons to bring your bill down! This is not the same thing as cutting out a coupon for a dollar off toiilet paper and thinking you will save significantly. I am also learning to eat better and planning to garden and I only eat hormone free meats. The real issue here is not whether you homestead or coupon, the real issue here is skill and using coupons for things you will need and can’t produce. For example i get my toilet paper, yeast for bread making, my vitamins and supplements, milk & eggs ( I don’t have chickens and my goat doe is dry), I get motor oil for my hubby, even fresh herbs and produce. I can think of literally tons of things you and I have to buy and the need for coupons is only going to increase as the economy continues to decline. I have stockpiled ramen, canned meats like turkey, tuna, ram, and chicken, and canned veggies. Why? Cause if the power goes out I can make do with those things. I try to feed my family as healthy as possibly on a daily basis, but the items you would need in a disaster are the types of things you just dissed. Also, you make homemade cleaners right? Out of vinegar, conditioner, and feels naphtha or zone soap and arm and hammer washing soda, here is a news flash, so do I and I coupon those items. Baking soda, salt, flour, olive oil, we buy these things, you can’t grow it all. So next time you think there is no good in couponing, think again. 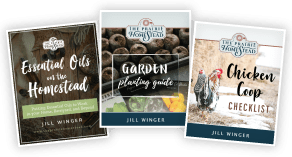 I say couponing and homesteading are a perfect marriage of thriftiness and good stewardship. On another note, I mentioned I own a goat, well on Tuesdays at our local feed store we save 10% and when I buy grain and her bedding (pine shavings) it adds up! So yes, I coupon, and that junk food goes onto an emergency stockpile and we eat healthy for now. I also like to coupon for paper, pens, and other items like glue, tape and scissors during back to school season. I get to stock up for the year and donate at the same time to kids in need. Much of couponing entails being able to be benevolent, I find generally speaking, we are convenience oriented and most,people are too lazy to committ to what has become the greatest gift to my family in terms of surviving a bad economy while being retired. Oh, and three times a year they have toy sales. Has bro puts out coins and I combine the manufacture. Coupons with the store coupon, online coupon and mobile coupons at target and I stockpile toys to donate at Christmas time for families whose kids would go without otherwise. For this last trip I got $400 worth of toys for under $50 and they were the most popular toys of the season. So, think again about what you buy, birthday or wedding gifts, toys, paper products, baking supplies, feminine hygiene, stuff to make your homemade cleaners, vitamins and supplements, greeting cards, school supplies, first aid items, makeup or skin care, razors, deodorant, toothpaste, motor oil, candles, pet food, I bet you don’t realize what all you still can get with coupons, but before you knock it, take a class, and start saving on those items you do purchase, we buy almost nothing without coupons! I stopped delivery of my local newspaper for the same reason, I just didn’t use the coupons anymore. The thought of eating all that processed stuff makes me sick to my tummy now!!! The newspaper recently called me to see if I would reconsider getting the paper and I said that I eat organic, whole foods and there are no coupons for that! The guy snorted a goodbye and hung up!!! I don’t do ‘coupons’ but our local supermarkets do ‘points’. You get a point for every dollar you spend – on any item (except cigarettes, beer and certain other items). I use my points to get ‘free’ eggs, bread and milk (local eggs, whole wheet bread and local milk). They run specials – you can use points for certain items and get them ‘free’ or greatly reduced. The nice thing is that these points go towards ‘real’ foods: cheese, yoghurts, fruits, vegetables, meats, fish and poulty. Every year I get enough points for a local turkey for Thanksgiving and a Smithfield Ham for Xmas! I totally agree in every way! The coupons are mainly for over processed very unhealthy food so you’re just rewarding the companies that pump this stuff out. Even if you only pay pennies it still counts as a sale to them! And any of the other stuff like household goods are things we should be trying to produce healthier versions of ourselves, like the cloth diapers and health/beauty products. I love this article! I feel the same way. 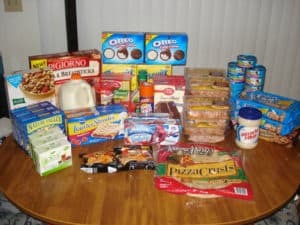 Some blogs point out that if you don’t coupon for food, you can do it for household supplies. I don’t coupon for household supplies, because we don’t use hardly any conventional household supplies. Instead of many common disposable items, we purchased reusable items that will last for years. We use stainless steel and glass drinking straws, cloth napkins, cloth towels, a mop with a washable microfiber pad instead of a swiffer, glass storage containers, wool dryer balls, etc. Instead of paper plates, we pack our set of stainless steel dishes anywhere that we would’ve previously bought paper plates. It’s nice to cut the repeat expense of buying stuff that will just end up in the trash and have to be “re-purchased” anyway. After going green, we also stopped purchased garbage bags. We cut our amount of garbage by 80% by recycling, composting, reusing, and upcycling. For the tiny amount of garbage that we have, it’s not necessary to purchase any special bags for it. I bring my own cloth bags to the grocery store and even with that, I’m never short on bags to put the garbage in. Potato bags, kitty litter bags, bread bags, etc. all work fine for garbage when you don’t have much of it. For soaps and consumable supplies of that nature, we use all natural soaps, shampoos, and toothpaste. We use natural silk dental floss and bamboo toothbrushes. I would gladly use coupons on those items if any existed, but coupons on them are few and far between. I do subscribe to my toothpaste on Amazon, which helps a little bit. We clean mostly with baking soda and vinegar. We make homemade lotion bars and I’ve started making my own deodorant. Couponing is definitely not for everyone. Sometimes I find coupons on things I need (I found a $1 off essential oil coupon the other day) and I definitely use them then, but it’s not worth the effort for me to use them heavily.